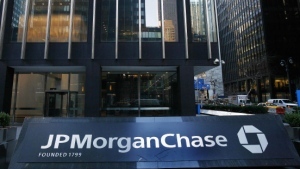 JP Morgan’s Treasury Services division has hired ex-Royal Bank of Scotland banker John Gibbons to be its new head of Europe, the Middle East and Africa, it emerged last week. A spokesman for JP Morgan confirmed the hire. Gibbons, who was previously chief operating officer of fixed income sales, research and strategy at RBS, joined JP Morgan last November. Gibbons leads a team of about 1,400 across 40 countries in Emea, and oversees regional sales, product, client service, implementation, operations and technology teams. According to last week’s earnings figures, first quarter revenues for JP Morgan’s Treasury Services rose 18% to $1.1bn compared with the same period last year. The Treasury Services division provides cash management, trade, liquidity, commercial card and escrow services to corporations, financial institutions and governments. Gibbons had been with Dutch bank ABN Amro, which was acquired by Royal Bank of Scotland in 2007 in a deal that ultimately led to RBS requiring a UK taxpayer bailout. He has also worked at Deutsche Bank, and has 20 years’ experience in the commercial banking and transaction services business. He replaces Alex Caviezel, who is now overseeing JP Morgan’s Treasury Services division’s international expansion. It recently built cash management capabilities with new branches in Saudi Arabia, South Africa, Russia and Norway and plans to move into 11 new countries this year.